Comunicato Stampa: For the year of celebrations for the 500th anniversary of the death of Leonardo da Vinci, the Royal Collection of London has organised an itinerant exhibition of the precious drawings of the great artist and inventor. These works reflect the vast gamma of interests of the artist, ranging from painting to sculpture, including architecture, anatomy, engineering, cartography and botany and from which emerges, in the most evident of ways, the vivacious and remarkable mind of Leonardo. The embodiment of the Renaissance, Da Vinci liked to define himself as “homo sanza lettere” - he used drawing as part of his up-close studies of reality itself and its mechanisms. 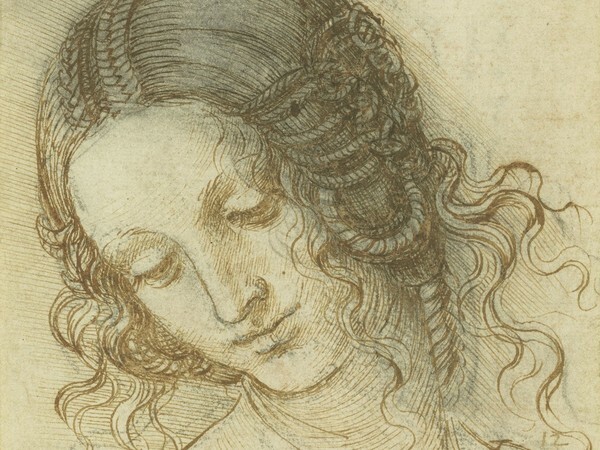 Of all the drawings in the Royal Collection, the study of La Testa di Leda, created by the master for Leda and the Swan, the painting destroyed in the XVIII Century, is an example of how meticulous Leonardo was, dedicating himself to this drawn coiffure with its braids and spirals. Today, those magnificent drawings that belong to Buckingham Palace have never been permanently displayed in public because of the immense fragility of these works on paper. However, starting in May, for the final leg of the tour involving more than 12 museums and galleries in the United Kingdom, the Queen’s Gallery will display a selection of 200 drawings out of the body of 550 pieces which became part of the Royal Family’s estate back in 1670 under King Charles II. This is a rare occasion to explore the genius of the Renaissance.